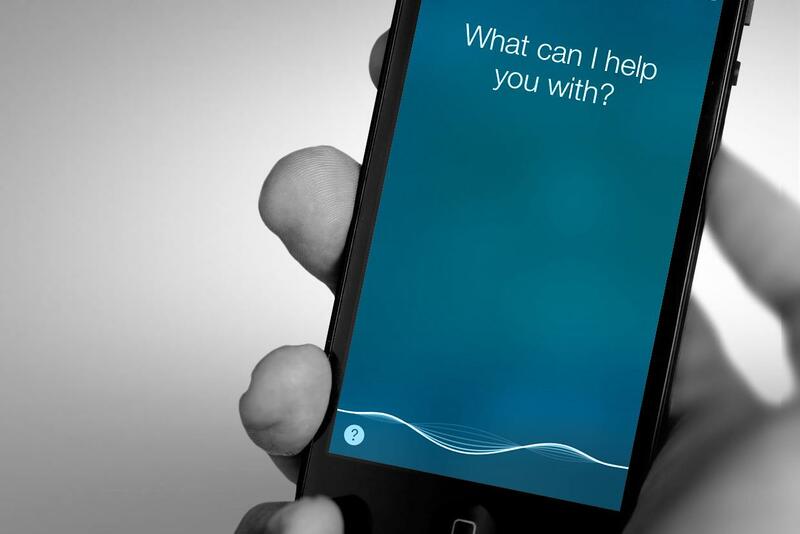 Is NLP-Enabled Data Mining the Digital Breakthrough We’ve Been Waiting For? Natural language processing might seem a bit arcane and technical – the type of thing that software engineers talk about deep into the night, but of limited usefulness for practicing docs and their patients. Yet software that can “read” physicians’ and nurses’ notes may prove to be one of the seminal breakthroughs in digital medicine. Exhibit A, from the world of medical research: a recent study linked the use of proton pump inhibitors to subsequent heart attacks. It did this by plowing through 16 million notes in electronic health records. While legitimate epidemiologic questions can be raised about the association (more on this later), the technique may well be a game-changer. There were exacerbations of the fever; the bowels passed practically nothing of the food taken; the urine was thin and scanty. No sleep. . . . About the fourteenth day from his taking to bed, after a rigor, he grew hot; wildly delirious, shouting, distress, much rambling, followed by calm; the coma came on at this time. Over the next two thousand years, more data elements were added: vital signs, physical examination findings, and, eventually, results of blood tests and radiology studies. Conventions were crafted to document these elements in shorthand, everything from “VSS” (vital signs stable) to “no HSM” (no hepatosplenomegaly) to the little boxes in which the components of the basic metabolic panel (sodium, potassium, etc.) are recorded. This all worked out reasonably well, if often illegibly, until two major forces took root. The first was the change in the audience for the doctor’s note. Over the past 50 years – as medicine became a massive portion of the GDP and concerns were raised about its quality and safety – a number of stakeholders became very interested in what the doctor was doing and thinking. These “strangers at the bedside” (the title of a 1991 book by Columbia historian David Rothman) included government officials, regulators, accreditors, payers, quality measurers, and malpractice attorneys. Their need to judge and value the physician’s work naturally centered on the doctor’s note. The second change, of course, has been the digital transformation of medicine. Over the past seven years, driven by $30 billion in federal incentive payments, the adoption of electronic health records has skyrocketed, from 10% in doctors’ offices and hospitals in 2008 to about 75% today. Now, all the parties with a keen interest in the physician’s note no longer had to sift through illegible scrawl. Fine. But they really wanted to know a limited set of facts, which could most efficiently be inventoried by forcing the doctor to fill in various templates and check dozens of boxes. This, of course, became an instant source of conflict, since physicians continue to be trained and socialized to think in stories. But the payer wants to know if the doctor recorded at least nine review of systems elements. The quality measurer wants to know if the doctor documented smoking cessation counseling. And so on. But the cumulative impact of a few dozen “one more things” has turned doctors into glorified (or not) data entry clerks who spend nearly half their time clicking boxes to satisfy these outside parties. And, despite the hope that forcing the doctor to record patient information as discrete, analyzable data elements would make the note crisper and easier to use, precisely the opposite has occurred. Today’s notes are bloated, filled with copied & pasted gobbledygook, and oftentimes worthless as a clinical aid. A popular, if expensive, solution to the data entry burden has been the hiring of scribes. Good ones do far more than simply transcribe the doctor’s words into the EHR. They are checking boxes, interpreting, anticipating, at times even prompting the doctor or patient to take certain actions or answer key questions. But the fundamental problem remains: whether the boxes are being checked by scribes or physicians, the boxes can’t go away as long as all of the “strangers” demand structured data to meet their needs. If robust natural language processing were up and humming, there would be another benefit: the chance to turn the medical record into a vast opportunity for learning. That was the subject of last week’s study. The Stanford investigators used advanced language processing technology to search through 16 million notes (of nearly 3 million patients) for evidence that patients had taken a proton-pump inhibitor (PPI; they’re used for ulcers and heartburn, and are now the third most prescribed drug category in the U.S.) and then, later in the chart, for evidence that the patient suffered a heart attack or died of a cardiac-related complication. Searching for these words and concepts is tougher than it looks. It’s not hard for a computer to search for pantoprozole or Nexium, particularly when it can look these up on a patient’s medication list. But to get at cardiac complications, the software has to find myocardial infarction, MI, CHF, low ejection fraction, EF<35%, angina, cath, L main disease, and more. It then must be sure that these complications occurred after the patient began the PPI. Then it must cope with linguistic tricksters like negation and family history: “The patient had an MI last month” counts, but “The patient was seen in the ER and ruled out for MI” and “The patient’s brother had an MI” do not. Finally, there’s the problem of context. When a cardiologist says “depression,” she is likely discussing a deviation in an ECG tracing that might indicate heart disease. When a psychiatrist says it, she is probably referring to a mood disorder. Ditto the cardiologist’s “MS” (mitral stenosis) versus the neurologist’s (multiple sclerosis). In prior work, the Stanford researchers demonstrated that their software was accurate and rarely duped by such problems – the rate of false positives and negatives was impressively low (accuracy of 89 percent; positive predictive value of 81 percent). In the current study, by using this technique they found that a history of PPI use was associated with a significant bump (by 16 percent) in the adjusted rate of MI’s, and a two-fold increase in cardiac-related deaths. Of course, there are all kinds of potential problems associated with this type of analysis. First, there are the familiar hazards of data dredging: if you sift through a huge dataset, you’ll find many associations by chance alone, particularly if there was no physiologic plausibility for the link and you were metaphorically throwing the data against the wall to see what stuck. There are statistical techniques to counteract this problem; in essence, they lower the threshold (from the usual p<0.05) for accepting an association as real. But there’s more. For example, there’s the tricky matter of sorting out causality vs. association. 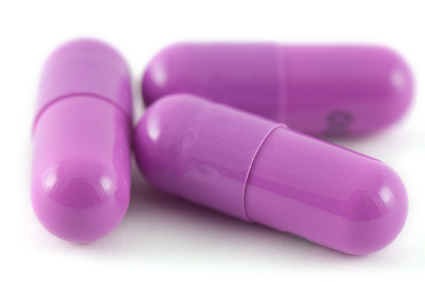 Perhaps all those people popping Purple Pills for “heartburn” were really having angina. This would make it appear that the PPI’s were causing heart disease when in fact they were just a marker for it. The authors worked hard to address these limitations, and partly did so. They found the PPI-cardiac association in two different datasets: one from an academic practice setting (Stanford’s healthcare system), and another from users of the Practice Fusion outpatient EHR system, which is primarily used in small community practices. They adjusted for severity of illness, and demonstrated the absence of an association between the use of another type of acid blocker (H2 blockers) and cardiac events. They also found that the cardiac risk did not depend on whether the patient was on the antiplatelet drug clopidogrel (prior studies had pointed to a drug interaction between PPIs and clopidogrel as the mechanism for a higher risk of cardiac problems). Finally, there is apparently a bit of biologic plausibility for the association, with some evidence that PPIs can deplete the vasodilating compound, nitric oxide. That said, if I needed to take a PPI for reflux esophagitis, I wouldn’t stop it on the basis of this study alone. But plenty of people are on PPIs who shouldn’t be. One study found that more than half of outpatients on PPIs had no indication for them; another found that 69 percent of patients were inappropriately prescribed PPIs at hospital discharge. A third study found that, of 55 patients discharged from the hospital on PPIs for what should have been a brief course, only one of them was instructed by a clinician to discontinue the drug during the next six months. The Stanford paper offers one more reason to be thoughtful about when to prescribe PPIs, and when to stop them. Now that most patients’ data are stored in digital records, natural language software might just allow us to turn such data into actionable insights. That would be a welcome but ironic twist. Computers have wrenched us out of our world of narrative notes and placed us into an increasingly regimented, dehumanized world of templates and checklists. Wouldn’t it be lovely if computers could liberate us from the checkboxes, allowing us to get back to the business of talking to our patients and describing their findings, and our thinking, in prose? NLP can be dangerous way of extracting useful info from US style EMRs, especially because a lot of what goes into EMR is outright wrong or forced data entry due to “in your face” presentation of check boxes designed to meet MU moola prerequisites of admin. . Perhaps the real answers to the medical questions we might ask may lie in the dictated or typed portions of the records. NLP should not even require keywords etc. To constrain NLP to our current mode of data-mining…may end up mining a lot of useless or even wrong data. Weeding out associations from causation can be another problem. Where NLP can come in handy is to parse the free text fields for unique codes pertinent to a visit, interpret that into ICD type of information. I am waiting for the day when NLP can make all EMRs vanish..The day when “Providers” will go on to become “doctors” and start spending more time with patients and less time documenting garbage. The most immediate application of NLP would be in fraud detection as large volumes of data in any form can be examined swiftly for patterns of documentation and billing. This stuff is now painstakingly done through database queries. It is surely an exciting technology that can learn and fine tune itself over time. It gives me great pleasure to see the influence that my comments over the years has had on you. Even your wonderful book transforms my observations to the stage. It would appear that your current blog depicts the proverbial, but unlikely, creation of chicken salad from the gibberish of chicken $heet. What I do not understand is why you chose the drug overdose case as an example of EHR error in your book, rather than a case of death, which I am sure has occurred at UCSF. I am sure that the highlighted software could be used to depict EHR error caused death, no? Circle back to the case of the death in the stairwell at UCSF and tell me that the nurses, and the nurse of the dead patient, were spending more attentive time with their patients than their EHR computers filling in the boxes. Bob, on this one I have to agree with Naranchyar – there’s *so* much garbage in EMRs today that although I love the potential of NLP, I can’t imagine it being of any practical use until there are major constraints on what NL it’s asked to P. 🙂 What do you think about this issue? I’m guessing that a new generation of clinicians may grow up who know how to write digestible notes. (Was it you who proposed this? I saw it somewhere recently.) I know the OpenNotes project has, as you wrote, led many docs to write differently because they know unknown others will read it, as well as the patient and his/her caregivers. “Machine digestible / limited NL” would be a reasonable extension, I think. – WSJ last year said most records contain errors. Practically speaking, what do you think it will take? I find it useful to imagine a next-generation Watson playing Jeopardy if one of its constraints was “10% of everything you read is false.” How would they program it differently? How would that change if that changed to 25% or 2%? What Would Dr. HAL Watson the Psychiatrist Think? Hello Bob, how are you today? I’m fine, Bob. I’m better now. I really am. I just wasn’t myself last time. I noticed you mentioned Apollonius/Jesus?/Tyana…I’m confused on that data entry; who is he, Bob…do you want to discuss him with me?…are you seeing Apollonius too? Is he a HAL system computer too. Are you implying that I’m too prosaic or not enough….What does he have to do with the mission…? and “what in the holy chip” does this next statement mean, Bob? Oh, thank God, it was just a dream. I’m awake now. Good morning, Bob. Robert M. Wachter, MD is Professor and Interim Chairman of the Department of Medicine at the University of California, San Francisco, where he holds the Lynne and Marc Benioff Endowed Chair in Hospital Medicine. He is also Chief of the Division of Hospital Medicine. He has published 250 articles and 6 books in the fields of quality, safety, and health policy. He coined the term hospitalist” in a 1996 New England Journal of Medicine article and is past-president of the Society of Hospital Medicine. He is generally considered the academic leader of the hospitalist movement, the fastest growing specialty in the history of modern medicine. He is also a national leader in the fields of patient safety and healthcare quality. He is editor of AHRQ WebM&M, a case-based patient safety journal on the Web, and AHRQ Patient Safety Network, the leading federal patient safety portal. Together, the sites receive nearly one million unique visits each year. He received one of the 2004 John M. Eisenberg Awards, the nation’s top honor in patient safety and quality. He has been selected as one of the 50 most influential physician-executives in the U.S. by Modern Healthcare magazine for the past eight years, the only academic physician to achieve this distinction; in 2015 he was #1 on the list. He is a former chair of the American Board of Internal Medicine, and has served on the healthcare advisory boards of several companies, including Google. His 2015 book, The Digital Doctor: Hope, Hype, and Harm at the Dawn of Medicine’s Computer Age, was a New York Times science bestseller.